It’s getting to that point when I am starting to see Christmas decorations all around and the adverts are on TV every five seconds which always reminds me that its time to write about where to place Christmas decorations for December 2018. I tend to say this to myself every year but I really cannot believe how fast Christmas is coming around. I always get the feeling that Christmas and New Year is just around the corner as soon as we launch the Chinese New Year Annual updates and as we released the 2019 updates earlier than usual on the 6th of November this year, it feels like I have another month to start preparing when in reality, Christmas day is only around six weeks away from writing this article. I always find it amazing how shops tend to bring their Christmas range out as soon as Halloween is over in the UK. It seems that every year, I end up with more and more decorations around the house and every year, I promise myself I won’t go over the top next year and then the cycle continues when Christmas comes back around. Although I am a lot better prepared than previous years, I do see the importance in preparing early for events and with Chinese New Year around the corner from Christmas on the 5th February 2019 (lunar), I definitely want to get everything prepared early rather than leave it to the last minute. 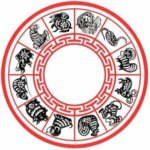 This year, I’ve decided to get started on my Chinese New Year checklist early and will be going through my home and office and get a head start on cleaning before the 4th February (solar) when I will be placing my 2019 Cures and Enhancers; this year is very important as we have the #8 wealth star trapped in the centre and I will be making sure I release the energy of this trapped star to make the year of the Pig as good as it can be. If you have some free time around the festive season, I would really recommend taking a look through some of the annual updates as in 2019, Chinese New Year falls on the same day or the day after placing the annual Cures and Enhancers. The most important articles to read are listed below. Reading through these two articles early will give you a major head start on the year of the Pig 2019. Christmas is my favourite time of year, especially now that my niece has a big appreciation for the decorations and lights but can these bright red, green, gold and many other colours have an effect from a Feng Shui point of view? The simple answer is yes, it can have a huge effect if the decorations are not placed in the right or wrong area! Obviously, the placement for Christmas trees and candles this year is based on the Annual and monthly Flying Stars as we cannot give good and bad areas for everyone’s home personally as it would require a lot of work reading the charts and floor plans and would fall in line with a home consultation which can cost a lot of money. The cheaper and easier option if you want to know everything about your home or office with regards to Feng Shui is to take a look at the Academy of Feng Shui Software which can read all of your charts and give you advice for your home with the fixed, annual and monthly Flying Stars and keep you prepared for 2019, 2020 and much more ahead. But I only have the decorations up for a few weeks; surely the Feng Shui effect won’t be that serious? We only have our Christmas decorations up around our home and office for a few weeks of the year but all of those different bright colours, shapes, flashing lights and associations to the Five Elements can either have a good or bad effect on your home or office but luckily, any problems caused by the Christmas decorations can be weakened or avoided by following the advice below for Christmas 2018. 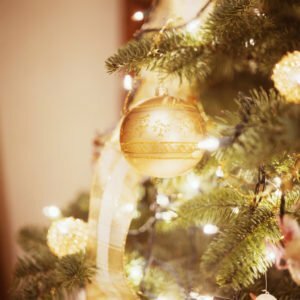 How do Christmas trees affect the home or office? Starting with the obvious fact that real Christmas trees have a wood element although it is not actually too strong as the wood is dying from being cut down so the wood element effects are minimal. Christmas trees, in general, can produce a lot of Yang energy with the flashing lights and general bright colours. The shape of Christmas trees is also associated with the fire element which can either have a positive effect or negative effect due to the productive and weakening cycle and depending on where it is placed. These days, Christmas trees come in all sizes and materials; you can get real trees, plastic ones with metal frames and even fabric ones which is why we have made it really simple to know the best and worst places to put your Christmas tree in December 2018. The best place that you could place a Christmas tree in 2018 with regards to the annual and monthly flying stars in December 2018 would be in the south, southeast and centre although please read below as some areas may require care. 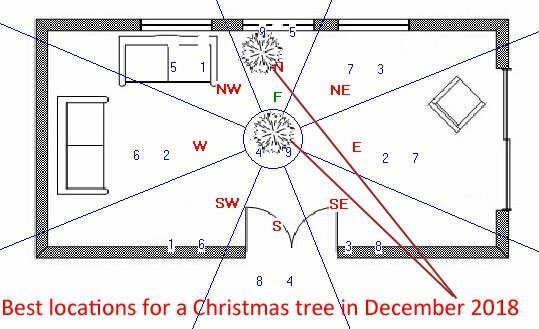 The areas to avoid placing your Christmas tree in December 2018 with regards to the annual and monthly flying stars would be in the east, and northwest of a room or building and a neutral area would be the southeast and north. Why should you avoid placing Christmas trees in these areas? A Christmas tree has strong energy regardless if it is real or artificial, the shape of the tree is associated to the fire element as it is triangle shaped; its colour is associated to the wood element as it is traditionally green although some people do use silver, gold and even pink trees nowadays. 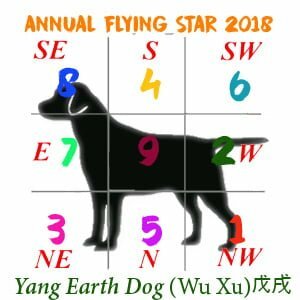 Any flashing lights are classed as yang qi and all these elements of the five phases will have a negative effect on the east and centre and can cause many problems during December 2018. Think about the times you have heard of family arguments around Christmas time, this may seem like just a part of the stress during the build-up to Christmas and such a small effect but sometimes the smallest things can be the catalyst to major disasters so please take this information seriously. Do candles have an effect on my home? The big candles in the centre of the table on Christmas day and the arrangement of flickering flames on the fireplace are one of the traditional traits of Christmas but you should take care when placing candles over Christmas as the effects can be quite powerful causing loss of wealth, accidents, relationship problems and much more. Here are the areas to enhance, weaken and avoid by placing candles over the Christmas period in December 2018. North – This is a neutral area to place Christmas trees in December 2018 but please try to avoid too many fire colours and avoid candles in December. If you have no choice but to place your Christmas tree and decorations in the bad areas listed above, just try to avoid too many fire colours such as shades of reds and oranges. Will my head fall off if I put red tinsel up in the northeast or east in December 2018? Putting Christmas decorations up in a certain area of your home that is not suited will not have a major effect on the Feng Shui of your home although it is still a good idea to avoid placing decorations like Christmas trees with flashing lights or any other Christmas activity that creates movement, noise or vibration in the areas that I have above. If you wish to get more involved in researching the flying stars in your home, I would strongly recommend using the floor planner section of our Academy of Feng Shui software to find your personal best directions for your property. I would love to be able to do a feature on the fixed stars but these are unique to every single property as you need to input your compass directions and the year that the property was built. What colours can I use in each area? The main Colours used in Christmas decorations are silver, gold, red, orange, green, and white. Below, you will find a list of what colours you can use in each area of your home or office with regards to the annual and monthly Feng Shui flying stars. Northeast – orange, red, purple, pink but not too much as this will provoke the monthly star. You can also use blacks and blacks but avoid using too much. In December 2018, the centre, south and southwest are very auspicious and it is advised to place a lottery ticket in the south, west and north as you will greatly increase your chances of winning. 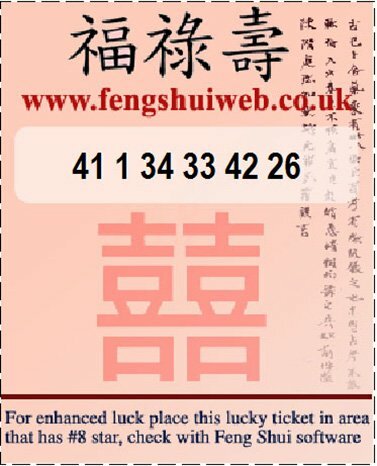 The lottery ticket below was created with our Feng Shui software with an individual’s own unique Min Gua lottery numbers taken from your birth date and just by placing it in the south, west and north can increase the chances of a win tremendously. This is a print screen of one of the many sections included in our software; you can view more of what is in included in the software by clicking on this link. Please remember, regardless if you are in the northern or southern hemisphere, this applies to trees, tinsel, candles, bright nativity displays; anything that will activate the Qi in your opinion. The perfect solution to everything that I have written about above would be to make sure that you have prepared yourself for 2019, year of the Yin Earth Pig. 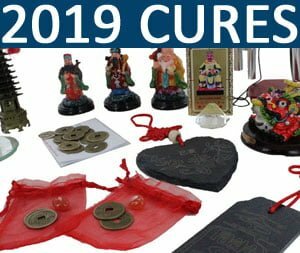 We have written a series of pages filled with valuable advice all about how to prepare yourself for Chinese New Year and all the 2019 Feng Shui Cures that you can place in order to make 2019 a much better year for you. Please follow the links below if you wish to find out more about Chinese New Year 2019. From everyone at the Feng Shui Store, we wish you a very Merry Christmas and a prosperous and healthy New Year! Hi,thanks for all the info. I will place the tree in a south and southeast area. Do I mix both colors decorations? If you can, I would recommend trying to get the tree in either the south or southeast as this will be a lot easier to control and use the energies. Thank you Daniel – all gold decor for the tree it is then this year! Joyous Christmas to you and your family! stars! just a rough calculation I did going by house built around 1936, facing sw 232. We had all windows and part of roof replaced in 94 so not sure this would affect or change the natal stars. To change the period of your home, you need to replace the whole roof so I would say from what you have told me, the home is still the original build date. Good colours to use with a 5 and 9 natal are silvers, gold and other metal colours and you should avoid fire colours such as red. If you have your tree in the north, I would place a lot of gold and silver metal colours on the tree as this will disipate the fire element here. Have a great Christmas and New Year, Penny. Is this for december 2015/jan2016 or for 2014/2015. I see there are some comments from 2014. Thank you for this beautiful site. My family and I enjoy reading it. The information on the page is all relevant to December 2015. I update the page every year with the relevant information which is why there will be old comments. Happy Christmas and New Year to you and your family also! Thank You, for the wonderful Feng Shui Christmas article! It is fantastic and helps so much for the Feng Shui enthusiasts! May you have a beautiful and abundant Christmas! Thank you so much for all your advice. We really appreciate it. It is a difficult time for us right now as our dog is very sick, heart problems and cancer of the liver. It\’s not good news just before Christmas. However, interestly enough his bed is in the East with a red cushion. On your advice we have made changes. Although it\’s just a matter of days before we have to make that horrible decision we are trying to make him more comfortable. Keep up the good work and may we wish you and your family a very Merry Christmas and a Happy Healthy New Year. Next Year is the Year of the Goat which is my year so hopefully things will start to turn around. Kind Regards. I\’m so sorry to hear about your dog; being a huge dog lover, I cant even bare to think about what it must be like for you. I hope everything goes well with you and your dog and wish you a very Merry Christmas and a Happy New Year and all the best for your Dog, Patricia. The South is neutral Mariela, sorry about the mistake. Hi Daniel, thanks as always for all the useful advice. 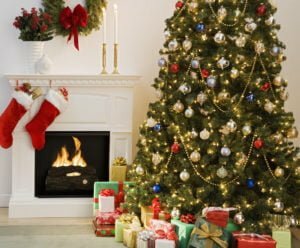 Just read article about best area to place trees, decorations etc, unfortunately the southeast is the only area I can put my Xmas tree, is there anything I can do to lessen any possible negative effects? The Christmas tree will be good for the annual 3 star and the inherent element is of the southeast is wood so I would introduce some blue decorations and if you are using a real Christmas tree, I would submerge the tree in to a bowl of water which is apparently very good for a tree anyway and by introducing the water to the southeast, you will be creating a Sheng cycle where metal feeds water, water feeds wood. If you do not want to use water in this area, you can introduce blue decorations on the tree. I Hope you have a fantastic Christmas and New Year Karen. Best wishes to you all for a great Christmas and Happy and healthy new year. Neutral areas: – southwest, south, northeast SOUTH? Areas to avoid – south, east, southeast, centre Why should you avoid SOUTH? SPplacing Christmas trees in these areas? – See more at: http://www.fengshuiweb.co.uk/advice/fengshuichristmas.htm#sthash.LGoPd9et.dpuf SOUTH NEUTRAL EN AVOID?